Make sure you follow Yatra to get amazing offers as soon as they become available. Don't forget to check the Yatra website to see if any offers are available. More than just a platform to book your next travel, accommodation and holiday, Yatra is an online resource for everything to do with planning your next adventure, wherever and whenever it may be. With just a few clicks of the mouse, you can search for and arrange your transportation to a far-flung exotic destination, book a luxurious room in a highly rated hotel and even plan an entire holiday in one go. They’ve even got a section of their website dedicated to the best events going on in locations all over the country, so you will never run out of things to do on your next trip. How do I use my Yatra coupon? Double check that the promotion code that you have selected is the discount that you would like to receive and proceed to the checkout. You will then be shown a review of your itinerary, which displays the details of your particular order. Confirm the details are correct and then repeat for the traveller details section. 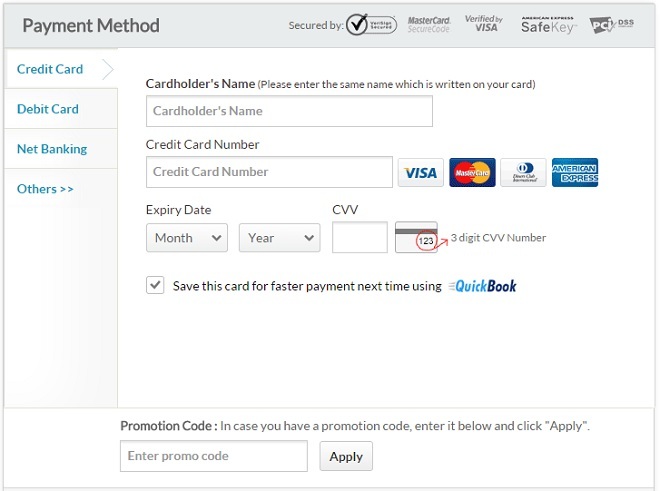 Once you arrive on the ‘Make Payment’ screen, you can enter your payment details and then paste the relevant code from vouchercloud into the box labelled ‘Enter promo code’. Double check that your discount has been applied to your order and then complete the payment process. They’ve really got you covered when it comes to jetting around the globe, with an online flight booking system that is fast and easy to use. 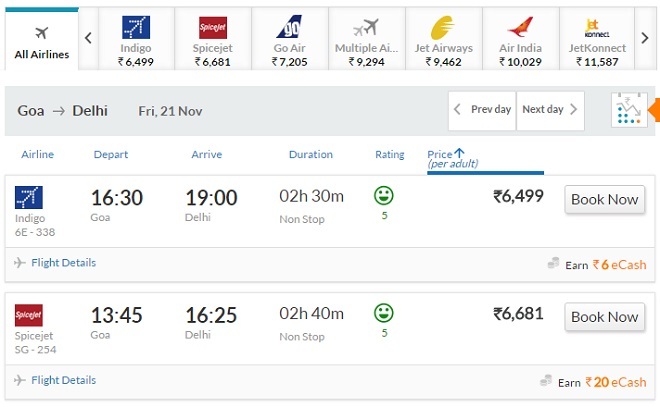 You can search for both domestic and international flights to some of the best destinations in India and across the world, with just a few clicks of the mouse. To search, simply visit this page and enter your departure and destination cities, along with travel dates, the number of passengers, seating class and whether you want a one-way or return ticket. You will then be shown all of the available flights that match your requirements, including the travel times, ticket price, flight duration, airline operator and rating. Plus, you can even refine your search and really drill down to the flights that you will be interested in the most. 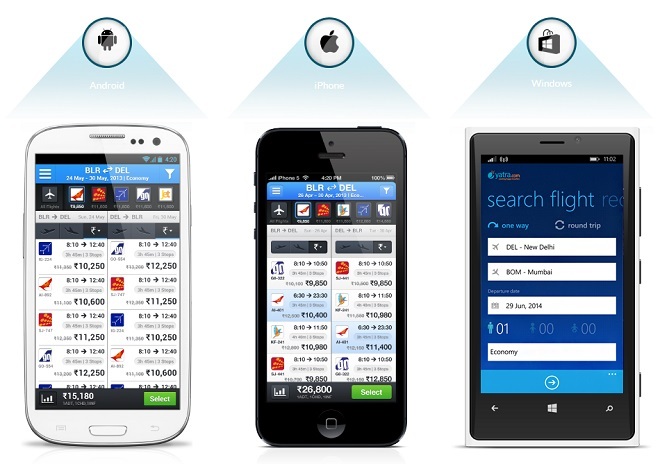 They even have a ‘Lowest Fair Finder’ that will compare the various prices and find the cheapest ticket available. Click here to get started with your flight search. Finding the perfect place to stay while you are away on your travels is a vitally important part of making your trip a successful and enjoyable one. Yatra let you search for places to stay in various towns and cities across India and the world, and ensure that the hotel you end up staying in matches your taste and requirements perfectly. Firstly, visit this page and enter your destination, along with your desired check-in and check-out dates, as well as the number of people that will be staying. You will then be shown all of the hotels that match your needs, along with detailed information relating to each. You’ll be able to view a photograph of the hotel, room price, payment options, star rating, facilities on offer and even read Trip Advisor reviews from previous guests. You can even refine your search according to this rating, as well as price range, distance from a certain locations, cancellation policy on offer, facilities provided and much more. With such a wealth of information at your finger tips, making a final decision as to where you will stay will be an easy process and you can rest assured that you will be guaranteed a fantastic stay. Many people are attracted by the ease and simplicity of booking an entire holiday package in one go. Amongst the benefits, apart from saving a lot of time, is the peace-of-mind that comes with knowing that every stage of your vacation has been taken care of, removing the chance of any mistakes being made or connections being missed. They’ve got all kinds of themes on offer at Yatra, including cruises, trade fares, rail tours and adventure holidays. Once you have visited this page and entered some basic information about your trip, including destination, number of days and month of travel, you will be shown a list of available holidays that you can take. Each package will include all of the details relating to the trip, such as what type of hotel is included, as well as transfers and meals included. Plus, you can clearly see the price per person and even speak to an expert on the Yatra team, if you are looking for more information. Journeying by train through the beautiful Indian countryside is one of the most relaxing and peaceful ways to travel, especially when you consider the congestion that is so prolific on the roads. 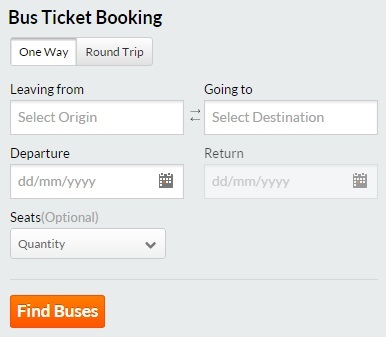 Yatra have made the process of booking train tickets a simple one, with a search feature that lets you find available journeys to your destination. Visit this page and enter your destination and departure location and travel dates. You will then be able to view all of the journeys that are relevant to you and select which train you would like to hop aboard. In no time at all you will be riding the rails aboard an express train, watching the scenery fly by! With over 15,000 routes across the nation covered, it is easy to see why many people still consider busses to be the best and most affordable method of transport in India. What could be better than hopping on a bus in your local town or city and disembarking in the centre of a bustling metropolis or exotic waterfront paradise? Head over to this page to start your search for your next bus journey. If you are looking for information relating to the latest events and festivities going on, in whichever town, city or province that you are heading to, you are in luck because Yatra have got a whole section of their site dedicated to showcasing the very best entertainment on offer. You can browse through the best restaurants, thrilling sports events, dramatic theatre, bustling nightlife venues and fun activities for families and children. Click here to visit the page and get started. If you’re away from your home and still want to browse for journeys, holidays and events, you can still do so with just a few swipes of the finger, thanks to the Yatra mobile app. Available on Android, iPhone and Windows Phone, this concise mobile version of the Yatra website offers all of the features that you are used to accessing on a normal laptop or desktop PC. Plus, you can also keep track of your previous bookings and retain important information relating to your travel and accommodation details, right in your pocket! Click here for more information relating to the Yatra mobile app. If you are looking for more information relating to a journey you are thinking about booking, or a hotel that you are considering stay at, then you can get in touch with the Yatra customer care team using the telephone numbers below. Alternatively, you can email them via this contact form. If you’d prefer to speak to somebody in person then you can search for your local Yatra store here. The online travel planner at Yatra.com allows you to explore all the various holiday options and search for flights, hotels, package holidays and even cruises. If you’re jetting off on an exotic break, simply select where you will be flying from before choosing your destination to be presented with a list of available flights, on the dates that best suit your travel needs. Here at vouchercloud, we can help make your holiday an affordable luxury, whether you’re making the short hop over to Sri Lanka, or planning a tour of the exotic coastlines of Thailand - make sure you browse our Yatra offers to save money on your booking. Once you‘ve selected your flight start searching through a list of available hotels and read through trusty reviews from previous hotel guests. That way, you can be certain that your stay will tick all the boxes and be comfortable - without any nasty surprises. Yatra has partnered with leading domestic and international airlines like IndiGo, Air India, Spicejet, Jet Airways, Emirates, Qatar Airways, British Airways and many more, to provide the greatest range of options to suit every traveller. If you’re looking to book your entire holiday in one go, look no further than the incredible package holiday deals available at Yatra. Browse a variety of packages for destinations including the stunning Andaman coast, the glittering towers of Singapore and European cities of your choice. With Yatra you won’t have to worry about any extra hidden costs and can relax in the knowledge that everything is taken care of. Money won’t be an issue either when you take advantage of discounted prices by using a Yatra promo code when you book. If you’ve decided to plan the details of your holiday yourself, Yatra is still the ultimate place to begin with, as they have partnered with more than 500,000 hotels across the globe as well as transport companies and activity providers. There so many opportunities to find a magical escape at an affordable price with Yatra, all you need is vouchercloud by your side to make the deal even sweeter!